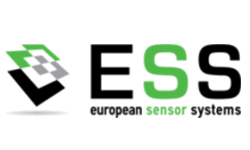 ESS is a global developer and manufacturer of high quality sensors based on micro-electronics technologies. ESS products are employed in sophisticated control and monitoring applications in the industrial, medical, aerospace and consumer good markets either as stand-alone components or being integrated within equipment's. Reporting to the General Director, ensuring the development and growth of company’s international sales by researching the foreign markets - identifying business opportunities - establishing customer relations – participation on exhibitions - winning contracts. University degree preferably in Engineering or Science. 4+ years of experience in Sales and Business development of advanced technologies and products in the international markets. Excellent command of the English language. Additional languages will be considered a plus. Excellent communication, cooperation and presentation skills. Strive to achieve an entrepreneurial approach in business.